I am so excited to tell you about the Beachbody Coach Success Club trip to Walt Disney World. I was honored to have qualified and earned this trip for free, including cash for airfare. This is just one of the many incentive rewards that Beachbody provides to Coaches. I earned trips 3 years in a row! Beachbody outdid themselves this time! We stayed at the Disney World Yacht Club resort and had our choice of park tickets or Disney gift cards. 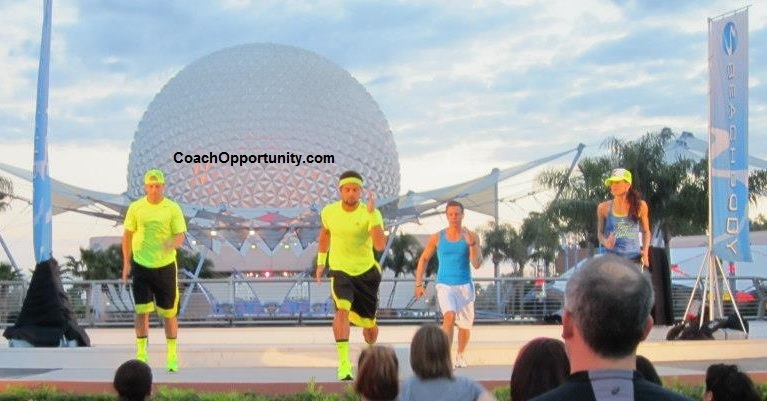 We had early morning workouts at Disney World’s Epcot park with Leandro Carvalho and Shaun T. It was a blast! Shakeology was provided too! There were mastermind sessions, receptions , and conferences featuring Paul Zane Pilzer and Chris Widener. It was just amazing and so much fun to be together at such a wonderful resort with like-minded, energetic people. I brought my family with me as guests and we all had a wonderful time together. And, a new workout was announced too! I can’t wait for the new Focus T25 by Shaun T. You can get the results of a one hour workout in just 25 minutes. You can read more about it here. Beachbody Coaching is the most rewarding work I have ever done. Helping others live healthier more fulfilling lives – it’s doesn’t get much better than that now does it? And, as you can see, the rewards go beyond helping. We can earn a nice income and have fun incentives likes trips and others rewards throughout the year. Have you thought about making a change in your life? Do you like helping people to reach their goals? Contact me – Beachbody Coaching may be a good fit for you! Sharing health and financial freedom with others is the best decision I ever made. The trips and other rewards are great too! I look forward to hearing from you . This is a great time to be a Beachbody Coach!